Michelle Ruth has 158 previous convictions. 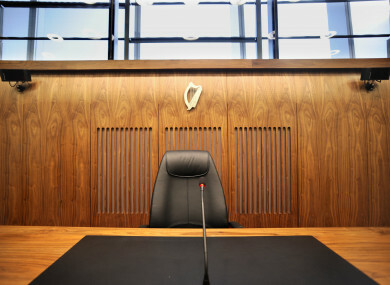 A MOTHER-OF-two who flung boiling water at a shop worker’s face will be sentenced next month at Dublin Circuit Criminal Court. Michelle Ruth (40), pleaded guilty to assaulting a female staff member causing her harm at Londis, O’Connell Street in Dublin on 8 November 2015. At a hearing yesterday, Judge Melanie Greally condemned what she said was “an extremely serious offence of wanton violence” which warranted serious punishment. The judge adjourned sentencing to allow for further urine analysis after she questioned whether Ruth is drug-free. Ruth, of Spring Garden Street, North Strand, Dublin, has 158 previous convictions, mostly for shoplifting and public order offences. Other convictions from the District Court include several for assault, robbery, criminal damage and possession of knives. Garda Greg Dunne told Elva Duffy BL, prosecuting, that on the morning in question, the injured party had been working in the shop when she noticed a man and woman at the coffee machine who had previously been barred. The female staff member said she asked them to leave and became very afraid when the pair reacted strongly, pointing in her face and shouting. She asked the man to pay for his coffee, whereupon Ruth grabbed her by the hair. Ruth then filled a paper cup with boiling water and flung it at the woman, and also threw a jar of powdered chocolate in her face. A male customer intervened and Ruth and the co-accused man both ran shouting from the shop. They were later identified through CCTV footage and arrested. The injured woman told gardaí after the incident that her face was really sore, swollen and red, and that she had been in shock and had gone straight to hospital. Her victim impact statement was handed into court but not read out. Garda Dunne said there was no physical scarring but that mentally, the woman had struggled and had taken quite some time to recover. Luigi Rea BL, defending, presented a letter of apology from the accused in which she expressed the hope that the injured party might one day forgive her. In her letter, Ruth said there was no excuse for her behaviour and that she was devastated when she saw photos of the injuries she had caused. A probation report said the accused had expressed disgust and shame at her actions. Rea said Ruth had been abusing drugs “on a fairly huge scale” at the time but was now stable on methadone and had turned her life around. “Looking at your client, I find it quite hard to believe that she’s substance-free,” Judge Greally told Rae. Ruth took the stand and assured the judge that she was clean of drugs but said she had not slept well the night before as she had been worried about the court case. She apologised again for her actions and said she had not been in her right frame of mind at the time. The case will be finalised on 14 November. Email “Dublin mother who flung boiling water at shop worker's face to be sentenced”. Feedback on “Dublin mother who flung boiling water at shop worker's face to be sentenced”.